With this country we were really faced with a whole new challenge. Find graffiti and street art in Oman? … Hmmm … is there anything like that? First of all, one can say that so much can be found in architectural art and in a beautiful natural landscape. But with murals it looks more difficult. The whole sultanate consists almost entirely of desert and in the cities everything is kept very “uniform” and regulated. 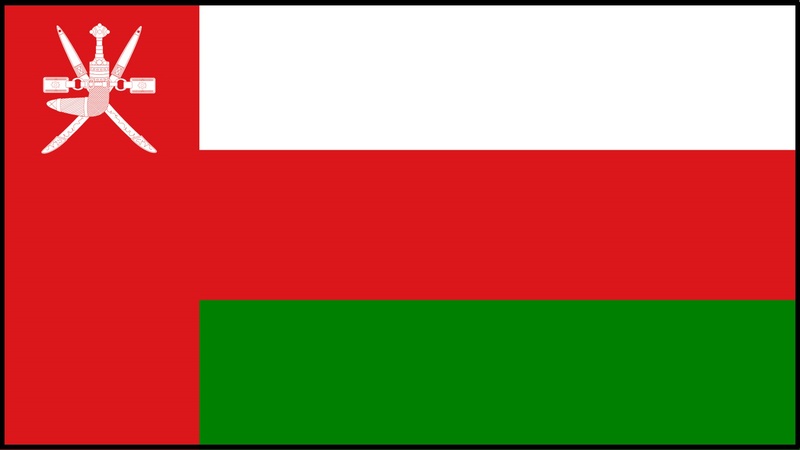 Nevertheless, Oman is one of the more open and liberal countries on the Arabian Peninsula, worth a visit. And we still found some graffiti stuff, but then you have to look very carefully. A wadi is a valley or river that often leads to water only after heavy rains. Surprising flash floods can be caused by distant thunderstorms that fall in the correspondingly large catchment area of the wadi. 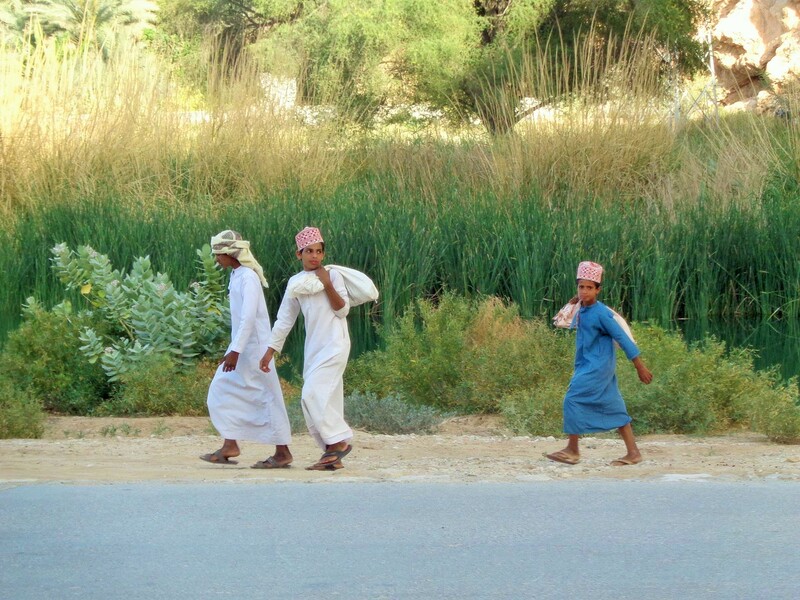 The stay in Wadis with steep banks, but also in very wide wadis can become life-threatening in such cases. 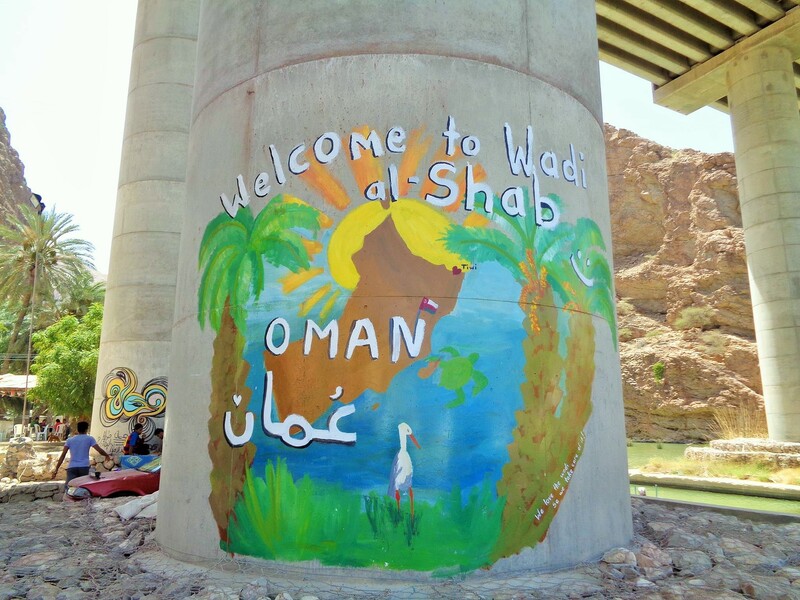 Here you get to the Streetart which we found at the place: Streetart at the Wadis. 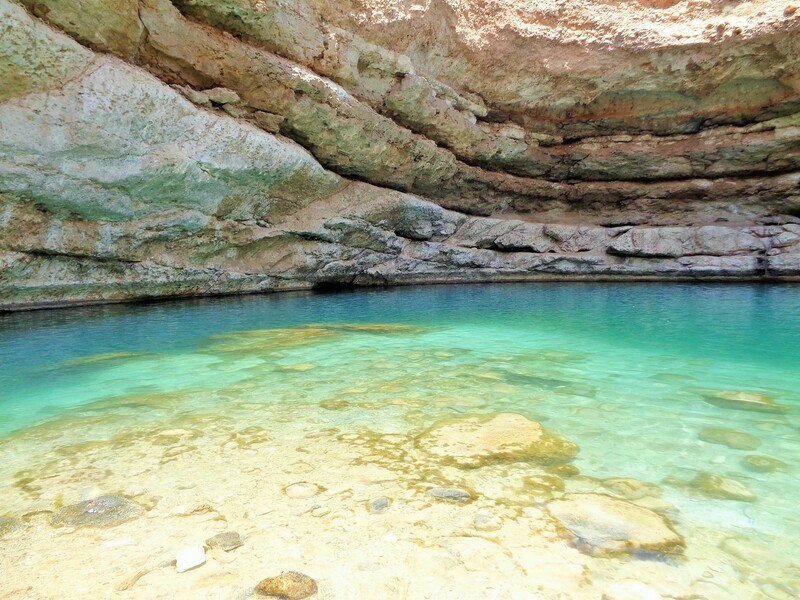 The Bimmah Sinkhole (Arabic هـويـة نـجـم Hawaiyat Najm) is a water-filled depression, structurally a sinkhole, in the limestone of eastern Muscat Governorate in the Sultanate of Oman. A lake of turquoise waters, it is 50 m by 70 m wide and approximately 20 m deep. 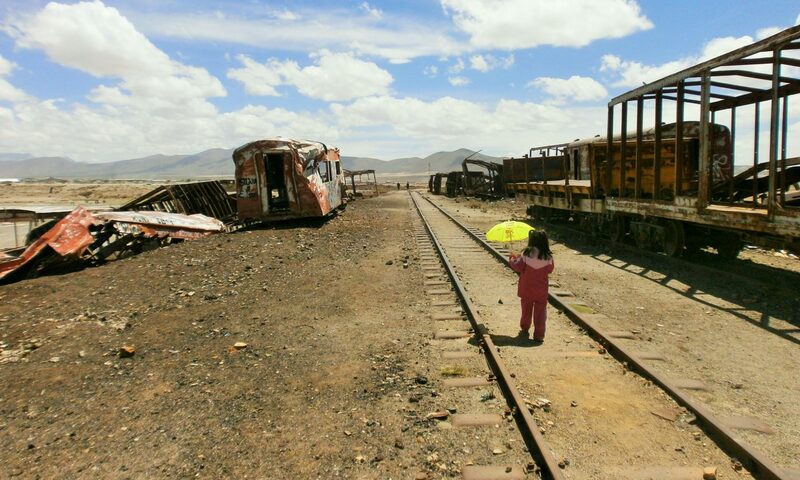 It is only about 600 m away from the sea, between the coastal towns of Ḑibāb and Bimmah. On our journey to Oman we traveled south from Muscat to the different Sinkholes and Wadis. 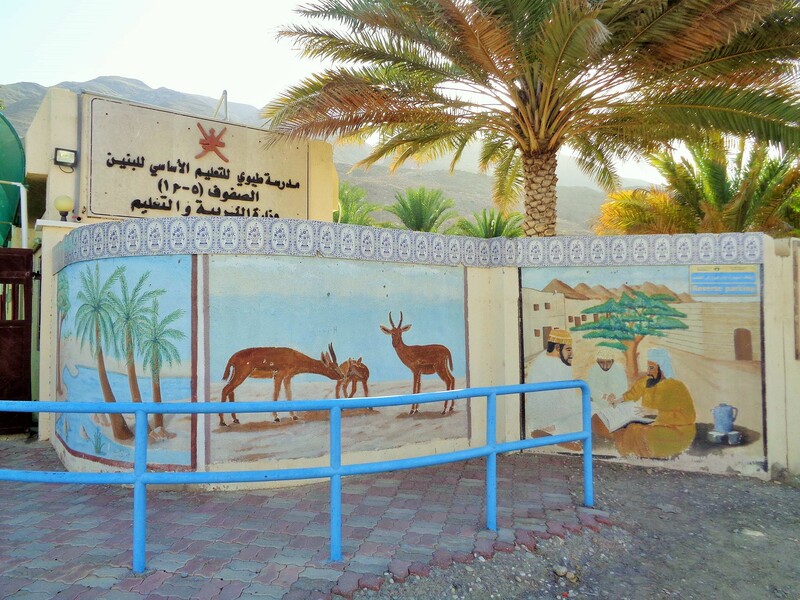 Here are some impressions of the hinterlands and the villages..
Quriat (also Quriyat, Qurayat or Qurayyat) is a small town with about 21,000 inhabitants in the Sultanate of Oman. 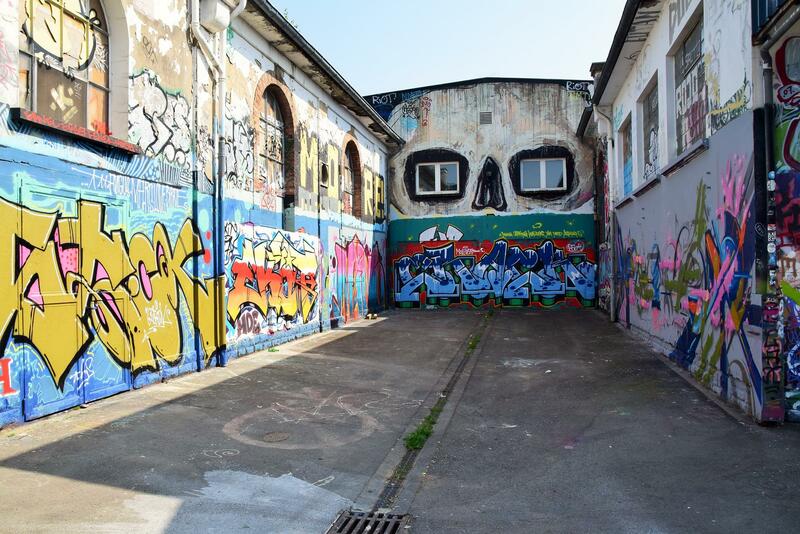 Here we go for the streetart and graffiti we found in and around this place. If you are interested about more art in Oma check out the main article: Sultanate Streetart. 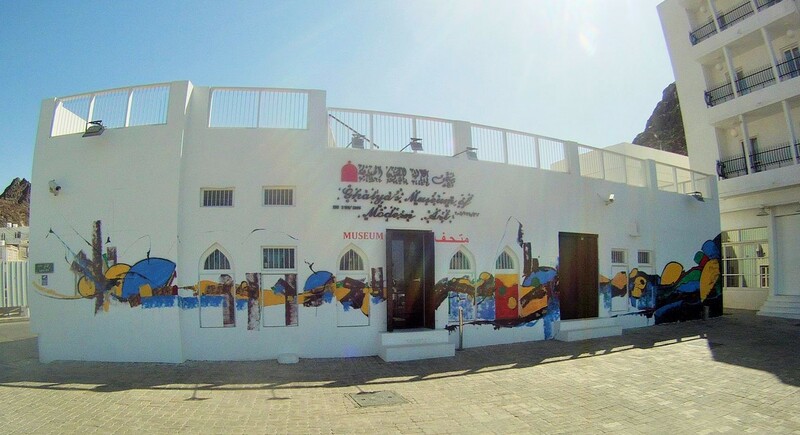 Ghalya’s Museum of Modern Art is an exclusive addition to the Omani cultural scene, opened in January 2011 under the auspices of His Highness Sayyid Shihab bin Tariq bin Taimour Al Said. 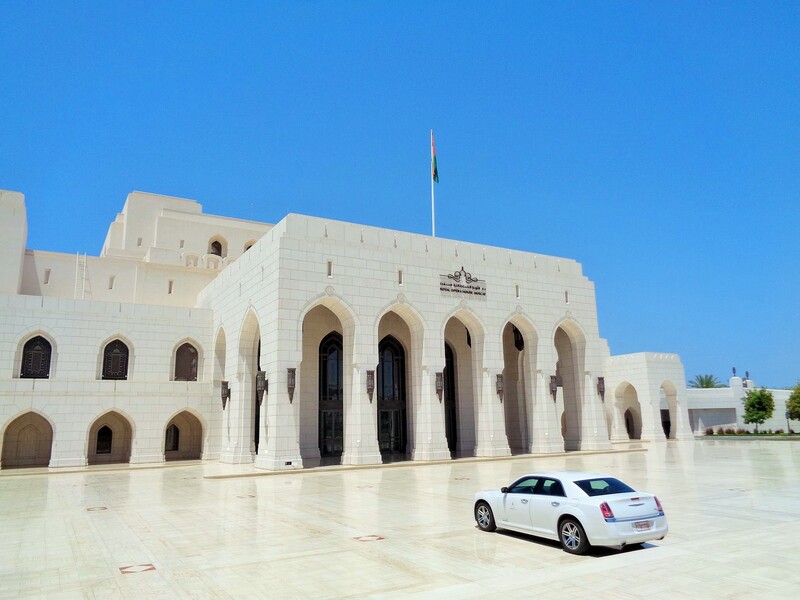 Located near the Muttrah Fort, the museum is a dream project of Her Highness Sayyida Dr Ghalya bint Fahr bin Taimour Al Said. The Modern Art museum mirrors the modernity of arts represented in its location in the blend of the historic and the modern; the art and the artifact. 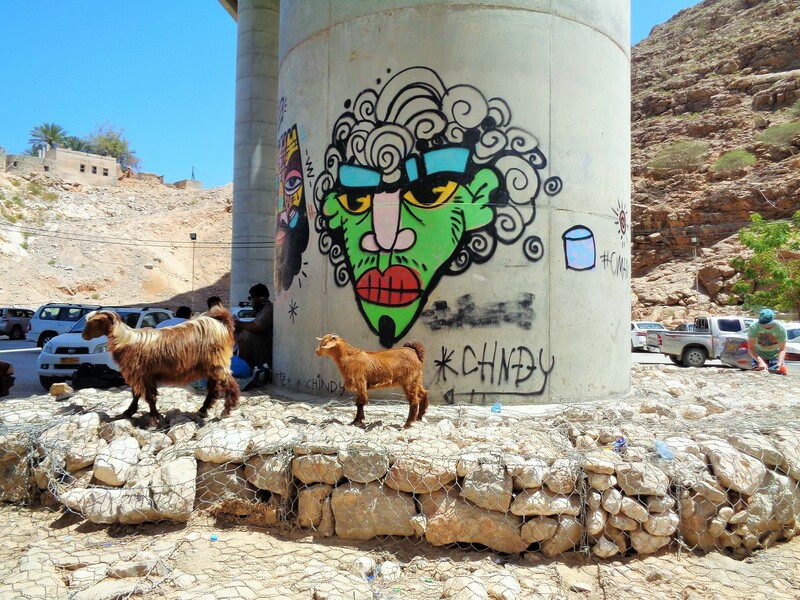 These streetart and graffiti artworks are located at the entrance of Wadi al Shab. If you are interested about more art in Oman check out the main article: Sultanate Streetart. 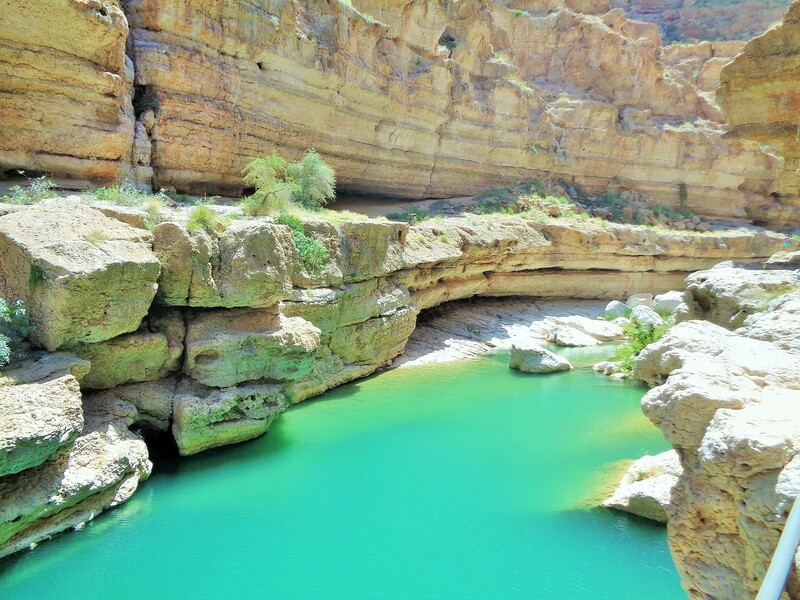 If you want to read more about the beautiful Wadi al Shab check out the article: Adventurous Wadi Shab.